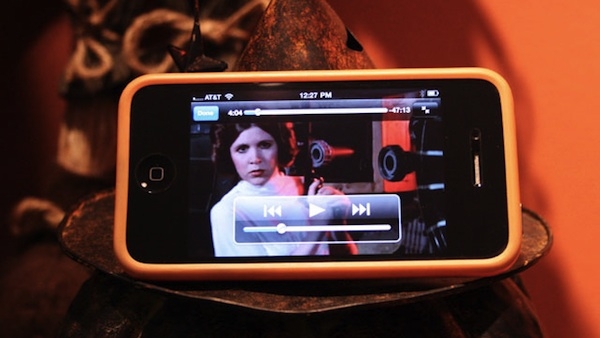 Apple Thoughts: So How Do You Convert Video to Take Advantage of the iPhone 4? So How Do You Convert Video to Take Advantage of the iPhone 4? "The iPhone 4 just begs for some good video content to be played on its high-resolution display-which, contrary to popular belief, isn't made of retinas. The easiest way to get video is through Apple's iTunes Store, but there are many reasons why you might want to watch videos that you already have lying around instead. If you're lucky, your video is already in a format that the iPhone supports. In that case, just add the file to iTunes and sync. But what if it's not in the right format?" Ars has a good writeup on how to convert it to the right format, either using iTunes or my personal favorite Handbrake. The process is fairly easy, even for someone like me that doesn't do a lot of it. So if you are interested in converting some of those videos you have to make them iPhone 4 compatible, it's well worth the read.